I finally made it to Shakespeare in the Park! For 51 years, the Public Theater has been making summer nights special with free productions. To get tickets, you show up early (the line starts forming even before the park opens at 6 am! ), wait until noon, and come back that night for the show. We saw the second to last night of The Comedy of Errors and it was fantastic! 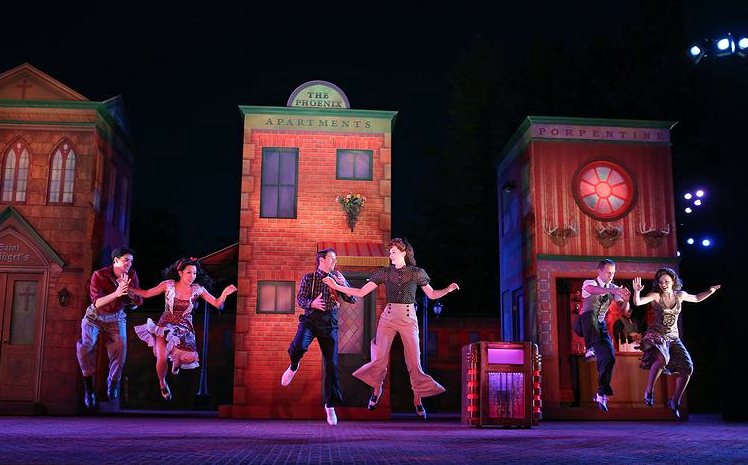 The sets were impressive, the acting (starring Jesse Tyler Ferguson and Hamish Linklater) was great, and the evening–which started with a picnic–was magical. What an amazing NYC institution.